Jet M. Perreault, a professional dog groomer of 18 years, hobby-farm owner and freelance writer, graduated from Michigan State University, where she earned a bachelor's degree in English with an emphasis on creative writing. She has spent time on the dog show circuit, working groomer trade shows and managing grooming salons and pet shops as well as breeding Miniature Pinschers. She lives near Lansing, Michigan, with her family, four pooches and many other four-leggers. Labrador Retrievers were originally bred as a working dog as well as for being a friendly companion and they still live up to both roles today. In addition to being a great family pet, they help hunters, search and rescue teams, and can serve as an aide dog for the disabled. No matter what your Labrador does, you have a duty of care to make sure they’re kept clean and well-groomed. It’s an important part of keeping them happy and healthy. Luckily, this breed is one of the easiest to care for as their coat is so short, but you still need to put in a little effort. As mentioned, Labrador Retrievers have a short coat that’s very dense. This means you don’t typically have to get tangles or mats out and can go longer between grooming than you would be able to with other breeds. In fact, many owners of labs will only bathe their dogs a few times a year. The exception to this rule would be if your pooch gets really dirty and simply must be cleaned. Labrador owners quickly learn this breed enjoys rolling around in dirt, mud, and questionable messes. You will want to give them a bath following these escapades. Remember that bathing your pooch too often can dry their skin, laying a foundation for problems. This happens because Labradors have a special oil on their coat which works to prevent dry skin and protect them from dirt. Frequent washing will remove the oil leading to health problems. 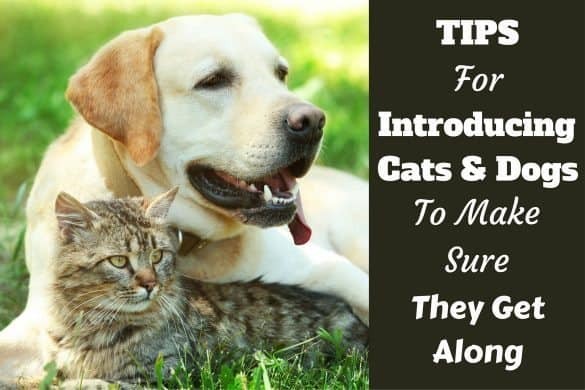 While you don’t have to bathe your Labrador frequently, you will want to regularly brush out their fur. 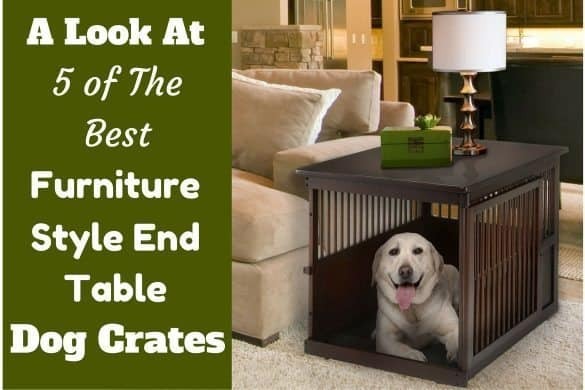 These dogs are notorious for shedding from their double coat that provides so much protection. Unless you regularly brush out your lab’s fur with a special brush, you will find yourself vacuuming almost daily. 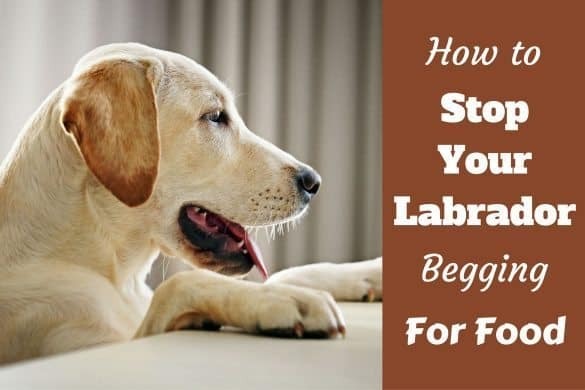 Although you don’t need to brush your Labrador every day, it doesn’t hurt if you have the time as this will help them get used to the process and make sure you don’t skip too many days. As a bonus, brushing their fur more often will help spread their natural oils through their coat, lubricating their skin and providing them with a healthy looking shine. 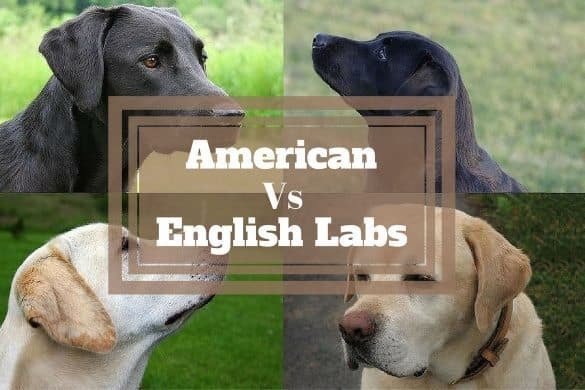 The exception to this is during the phase that occurs twice a year – during spring and autumn – when your lab is almost completely shedding their coat. If you don’t groom them every other day during this time, shed fur may become caught and trap excess oils and dead skin, leading to irritation. The rest of the year, two or three times a week should be enough grooming for your Lab. The more you brush them, the less fur you will have to pick up from furniture and the more time you have to bond. During brushing, be sure to pay attention to signals they may give you and stop if they become uncomfortable. Click here for our recommendations of The Best Dog Brushes for Labs. Cleaning your pup’s ears not only works to keep them healthy and clean, but it also gives you a chance to inspect the area, make sure there aren’t any pests such as fleas or ticks present and that there aren’t any signs of infection. You should check your pooch’s ears after any walk where they’ve rooted through undergrowth, have gotten very wet, or after any particularly messy outdoor adventure, looking for ticks and dirt in particular. If you do notice dirt in the ear, it’s a very good idea to clean them. Do not dig deep in the canal and if there is a heavy buildup of dark matter you should consult a vet. This breed loves the water which due to their long hanging ears trapping water, can make them prone to ear troubles. As a routine you should aim to clean the outside of your retriever’s ears about once per week and take this time to examine the inside of the ear to see if you should clean the interior too. Click here for a more detailed guide on cleaning your dog’s ears. It’s crucial to stay on top of trimming your lab’s nails. If they get too long, their footpads will be forced apart and they won’t be able to walk properly. In cases where the nails are left alone for too long, this can even lead to skeletal damage because of their odd gait while walking. The frequency with which you need to trim your pooch’s nails will depend greatly on what they do. If you have hard floors or they walk outside a lot, you can probably wait longer between trims than if your home is carpeted and your dog sticks to the grass when outside. That being said, most lab’s will need to have their nails trimmed about every two months. Pay attention to signs such as a clicking sound as they walk on hard floors, or sharp ends that mean they need to be clipped. But of course, regular inspection must be carried out to check they aren’t getting too long. Ideally, you should aim to brush your dog’s teeth once a day as dogs are at risk of developing the same dental problems as humans. It is actually possible for dental plaque to enter a dog’s bloodstream and travel to the heart, leading to heart disease. In other cases, a dog with poor dental hygiene may have severely damaged gum tissue, leading to losing tooth support and teeth eventually falling out. As with the other parts of grooming, how often you need to clean your dog’s teeth will depend on them and their habits. You may be able to get away with cleaning the teeth less often if they frequently chew on a bone or hard toy as this removes tartar and plaque as well. If you can’t manage every day, try to at least brush your Labrador’s teeth a minimum of two times each week. This will go a long way toward better dental health and truthfully, it’s more than most owners do! You can also invest in a few top dental chews for dogs, that help to remove plaque and tartar as they chew. Some can even helpw ith bad breath. Because of the amount of dead fur lab’s shed, you will want to invest in grooming brushes especially suited to dead hair removal. In fact, if you try to use a normal brush, it quickly gets clogged with dead fur, making it very frustrating to use. Ideal brushes are sometimes referred to as rakes and these won’t get clogged like a standard dog brush. You can find an undercoat rake that has spaced metal teeth and is very effective at removing dead fur, the most popular example of which is the furminator. Another option is a Zoomgroom from Kong, which is made of sturdy plastic and has prongs that are widely spaced. There are also special rakes that include a blade to make dead fur removal easier, but these are obviously controversial and need a great deal of care. Any of the rakes or Zoomgroom need to be used with caution as repetitive brushing over an area can cause ‘brush burn’ which is a rash on your dog’s skin that is irritating and can cause further trouble. You should also get one or two slicker brushes. A small one will be useful for gently smoothing the hair on your Labrador’s legs and face. You can then use a larger one on the back and rest of your dog’s coat. As a bonus, this brush will separate water-resistant hairs and the massage given while using helps improve circulation in the skin. As with all dog breeds, you never want to use human shampoo when bathing your lab. Doing so will dry their coat by removing natural oils, making your pooch uncomfortable in the long run. Instead, be sure to buy a good shampoo specifically for dogs. 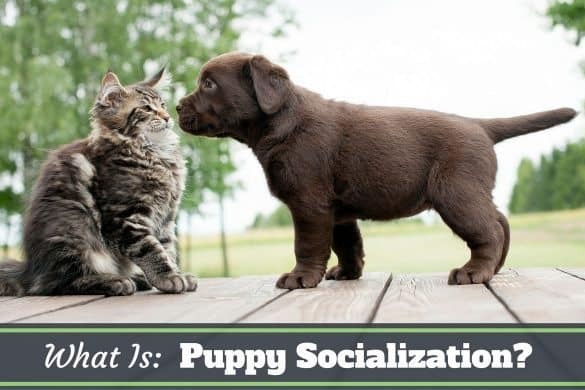 This also gives you the chance to find a shampoo that prevents fleas, ticks, dry skin, odor, shedding, or any other issue your pup experiences. Be sure to select a shampoo that is moisturizing, gentle, and alcohol-free. There are several styles of nail trimmers available to help you cut your dog’s nails. If you aren’t looking forward to touching your pup’s paws with a sharp object, then consider getting a Dremmel or similar object to grind down the claws instead of cutting them. Do be cautioned that a Dremmel will take time to get your pet used to, and if mishandled can cause as much or more damage than standard nail trimmers. Scissor style trimmers are operated just like a standard pair of scissors, with you controlling the cutting motion completely. Guillotine-style trimmers have you place your pup’s nail in a hole and then trim the nail with a small blade, which gives these trimmers their name. Many experts agree that the guillotine style trimmers are easier to use, while scissor-type ones are best for toenails that have gotten too long to the point where they curl inward already. If you’re concerned about accidentally cutting into your pooch’s quick, keep Quik Stop or another similar product on hand to quickly stop the bleeding. You can also keep cornstarch or flour nearby as an alternative. It’s best when first starting to take off only a very small amount, just the tip. In light-nailed dogs, the quick is pink and easy to see. After experience you will get a feel for where the quick is even in dark nailed dogs and be able to take off the right amount. 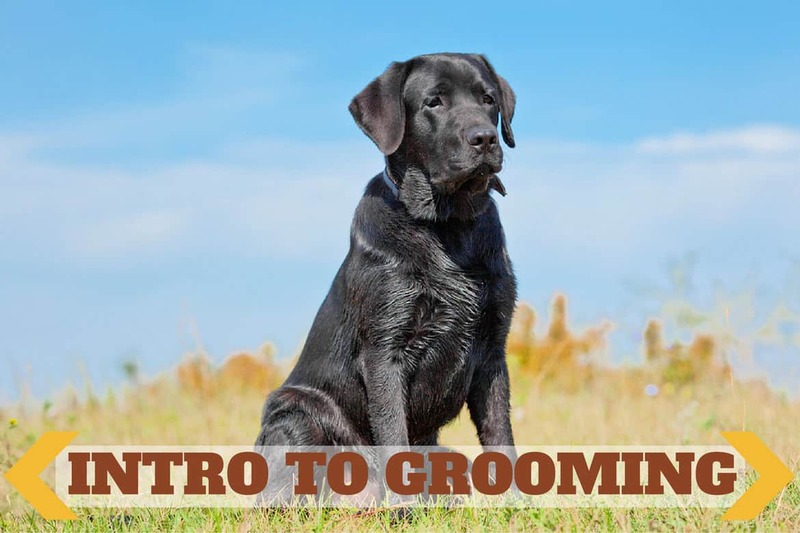 We hope you’ve enjoyed this article, an introduction to grooming your Labrador. 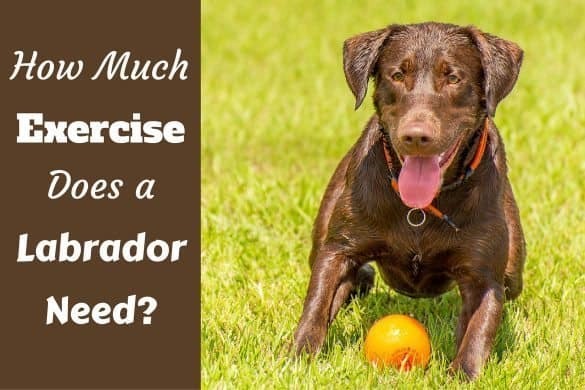 We’ve only covered the basics here but have given you a very clear idea on what you should be doing to keep your Labrador looking good and in tip-top condition, contributing to their overall health and well-being. Remember though, grooming isn’t only to promote good looks, it’s also a time for you to inspect your dog’s body, looking for signs of injury, parasites and infections. It’s also the very best way to form a close bond with your pooch. Regularly making time to groom your Lab is one of the best things you can do for both your relationship and monitoring their overall health. 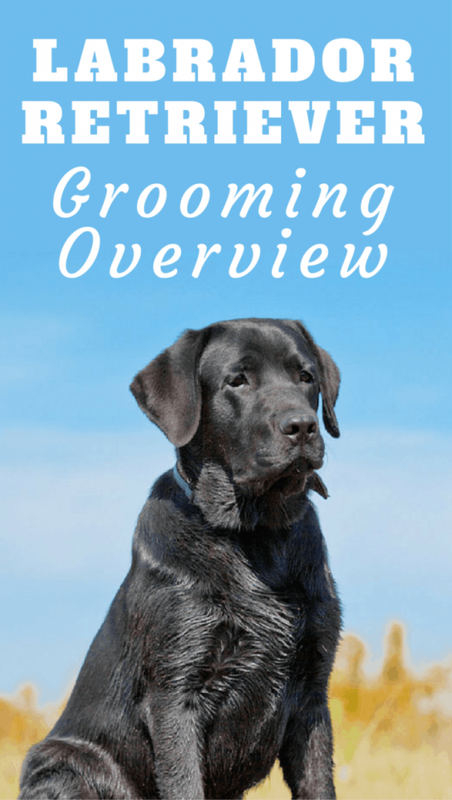 Look out for more in-depth articles coming very soon on every aspect of grooming your Lab, with easy to follow step-by-step instructions. You’ll master it in no time! Proofing Your Labrador Training is Essential – Why and How?